1. LIGHTHOUSE 100: A Good First Ultra? : We get this question daily. Yes, the LIGHTHOUSE ultramarathons are perfect for your first ultra. The course is flat for the first 50k and then has rolling hills the rest of the way, it's, scenic, and point-to-point (which is easier for most mentally than a "loop" course where you have to cross the finish line multiple times before actually finishing). Additionally, June weather in Northern Michigan is traditionally very nice, with highs in the 60s-70s and lows in the 50s-60s. Dave's cousins, who have lived in Traverse City for many years, swear that June is their "favorite weather month." 2. But Seriously. Is 8 Months Enough Time To Train For My First Ultra? : This is another question we get all the time. Yes, so long as you train purposefully and intelligently, 8 months is more than enough time to train to successfully complete either the LIGHTHOUSE 100 or LIGHTHOUSE 50﻿. Through his ZWITTY ULTRA program, Dave currently coaches about 50 ultrarunners, all over the country. For Dave's thoughts -- either formal or informal -- on your training, feel free to contact him at your convenience, or visit ZWITTY ULTRA by clicking here. 3. Any Hotel Recommendations? : Logistically, this is one of the easiest aspects of the LIGHTHOUSE 100. The entire course is dotted with hotels/motels/inns/resorts for every budget and preference. Specifically, we would recommend staying in the Petoskey/Harbor Springs/Charlevoix area the night before the race, and then in the Traverse City area after the race. Regardless of where you choose to stay, however, you will have zero problems finding accommodations that are just right for you, at either the start or the finish lines. 4. I'm Running Uncrewed. What Do I Do With My Car, And How Do I Get Back To It? : For LIGHTHOUSE 100 uncrewed runners, we highly recommend parking at the finish line (in Petoskey). We will bus you to the start line, and -- yes, while this makes for an early wake-up -- your car will be waiting for you when you finish the race. For LIGHTHOUSE 50 runners, we also recommend parking at the finish, and we will have a shuttle take you to the start line in Torch Lake on race morning. 5. What Do I Do If I Register And Later Decide I Can't Run? : If circumstances/training/etc dictate that you cannot participate in the race as originally planned, you have two options. First, we will allow you to defer your entry and run in the 2018 LIGHTHOUSE 100 or LIGHTHOUSE 50. Second, you can transfer your entry to another runner. Both options will be available until two weeks prior to race day. If you decide to drop, however, you will not be awarded with an "official" LIGHTHOUSE 50 finish. (It just would not be fair to the runners in the actual 50-mile race; they are running with and against the others who start in Torch Lake at Mile 50 of the course, not people starting in Petoskey. That being said, you still did run 50+ miles, which is a heck of an accomplishment, "official" finish or not. 8. When Will Registration Close? When Will The Race Sell Out? : This is another question we have gotten a lot over the past few days. The simple answer is that registration will close when the race reaches its capacity (250 runners for the 100-miler, and 150 runners for the 50-miler). On just the first day alone of registration for the DAYTONA 100, by way of example, we typically have over 100 runners register. So we anticipate that the race will reach capacity. If you are thinking of signing up, therefore, it's probably better to sign up sooner rather than later. If/when registration does close, we will create a wait list. 10. 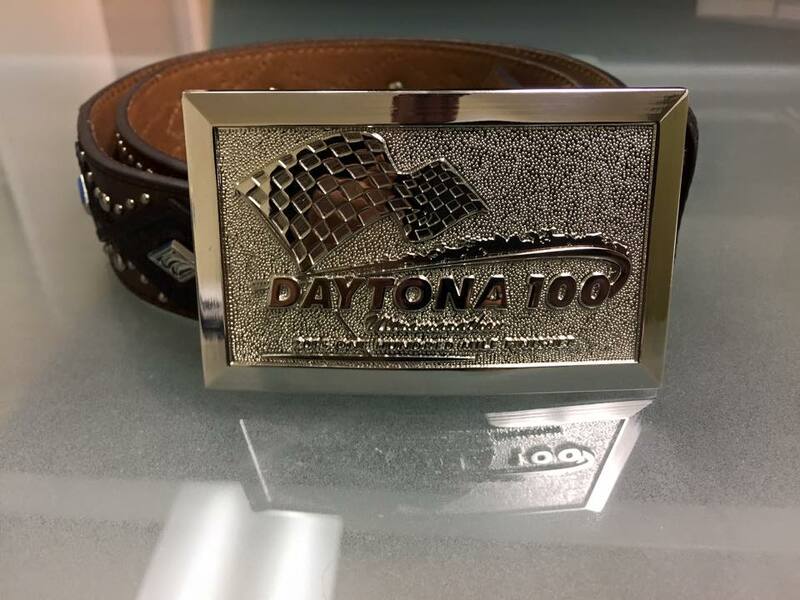 Speaking Of Belt Buckles and Medals, What Can We Expect For The LIGHTHOUSE 100 Buckle/Medal? : Dave has been a distance runner for over 15 years now, starting with dozens of marathons, and then turning to ultras. He has currently run 26 races of 100 miles or longer (sometimes much longer), all over the country and the planet. He has seen every make and model of belt buckle and medal imaginable, and Dave definitely appreciates the value of having a symbol to be proud of; one that recognizes just how amazing of an accomplishment it is to finish a 100-mile race. In creating the DAYTONA 100 and LIGHTHOUSE 100, Dave essentially designed his "dream races," took the best aspects of all of the other ultras he has run, and combined them into two awesome races. 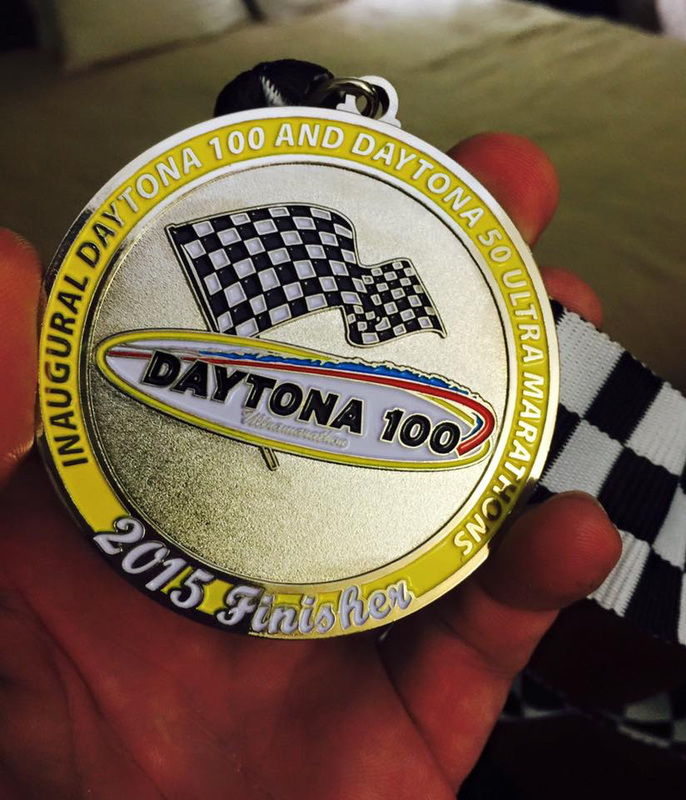 We are very proud of these races and courses, and we know you will absolutely love it. We cannot wait to see you in December in Daytona and June in Northern Michigan! !